This longitudinal randomized control study investigated the effectiveness of scientifically based reading instruction for students with IQs ranging from 40-80. The study found that students in the intervention group made significantly greater progress than students in the control group. Allor, J. H., Mathes, P. G., Jones, F. G., Champlin, T. M., & Cheatham, J. P. (2010). Individualized research-based reading instruction for students with intellectual disabilities: Success stories. Teaching Exceptional Children, 42(3), 6-12. This study examined the effectiveness of reading interventions for at-risk students with average IQs when applied to three students with intellectual disabilities. With individualized, evidence-based intervention, all three students made gains in phonemic awareness and phonics, however, the authors stress that these gains required intensive and systematic instruction tailored to individual progress and learning needs. Bradford, S., Shippen, M. E., Alberto, P., Houchins, D. E., & Flores, M. (2006). Using systematic instruction to teach decoding skills to middle school students with moderate intellectual disabilities. Education and Training in Developmental Disabilities, 41(4), 333-343. This study examined the effectiveness of systematic phonics instruction with three students with moderate intellectual disabilities. Instruction was provided three times per week over six-months using the Corrective Reading Program. All participants made progress in letter sound correspondence, blending sounds to read words, decoding irregularly spelled words, and reading connected text at the second grade level. Browder, D. M., Wakeman, S. Y., Spooner, F., Ahlgrim-Delzell, L., & Algozzine B. (2006). Research on reading instruction for individuals with significant cognitive disabilities. Exceptional children, 72(4), 392-408. This article presents the results of a 128-study meta-analysis on teaching reading to individuals with significant cognitive disabilities. Findings showed strong evidence for sight word instruction using systematic prompting techniques in repeated trail format. A number of strong studies focused on comprehension and fluency but there was only one phonics study deemed to be high quality. This study examined the effect of a phonological awareness intervention program on literacy acquisition and speech production of three students with Down syndrome ages 7-8 years. Results showed that students made gains in targeted areas of instruction but these skills did not generalize to other areas of reading or language. Burgoyne, K., Duff, F., Clarke, P. (2012). Efficacy of a reading and language intervention for children with Down syndrome: A randomized control trial. Journal of Child & Psychiatry, 53(10), 1044-1053. This randomized control study focused on the effects of a language and literacy intervention for students with Down syndrome. Teaching assistants were trained to deliver the intervention to fifty-seven students with Down syndrome over a 40-week period. Students who received the intervention scored higher on measures of single word reading, letter-sound knowledge, phoneme blending and taught expressive vocabulary than students who did not receive the intervention. Students who attended more sessions, who were younger in age and who had better initial language skills showed the greatest progress. Taught skills did not generalize to other areas. Courtade, G. R., Lingo, A. S., & Whitney, T. (2013). Using story-based lessons to increase academic engaged time in general education classes for students with moderate intellectual disability and autism. Rural Special Education Quarterly, 32(4), 3-14. This study investigated the effect of the implementation of story-based lessons on the engagement of students with intellectual disabilities and autism during literacy lessons in general education classrooms. Special and general education teachers worked collaboratively to adapt age-appropriate texts and incorporate them into literacy instruction in inclusive classrooms. Chiara Levorato, M., Roch, M., & Beltrame, R. (2009). Text comprehension in Down syndrome: The role of lower and higher level abilities. Clinical linguistics and Phonetics, 23(4), 285-300. This study explored the effect of context on reading comprehension. Sixteen students with Down syndrome between the ages of 8-16 were matched by comprehension level to typically developing children aged 5-7 years. In the first of two studies, the groups were compared for receptive vocabulary and sentence comprehension. The second study focused on the effect of presenting sentences within context to students with Down syndrome. Results showed that context facilitated improved text comprehension. Laws, G., Brown, H., & Main, E. (2016). 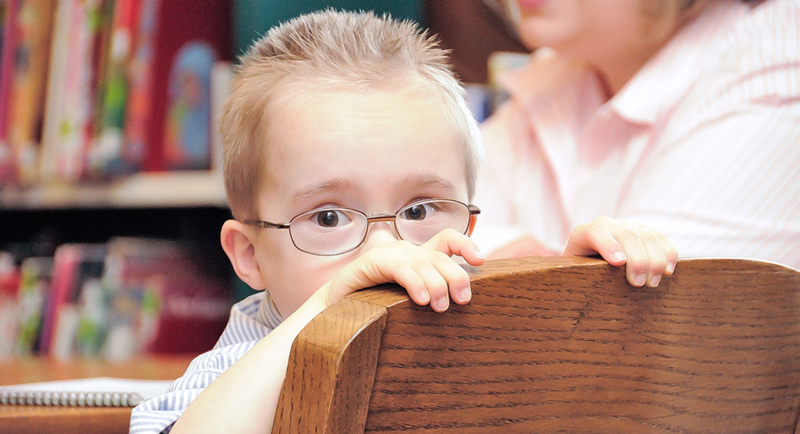 Reading comprehension in children with Down syndrome. Reading & Writing, 29(1), 21-45. This article presented the results of two studies focused on reading comprehension skills of students with Down syndrome. The first study compared the reading comprehension performance of children with Down syndrome to their typically developing peers. The second study investigated the relationship between reading comprehension and language development. Results showed that students with Down syndrome have significantly poorer passage comprehension skills than typically developing peers and that listening comprehension and phonological awareness skills influence reading comprehension. This study examined the effectiveness of an adapted version of a commercially available phonological awareness intervention program for five children with Down syndrome ages 6-8. 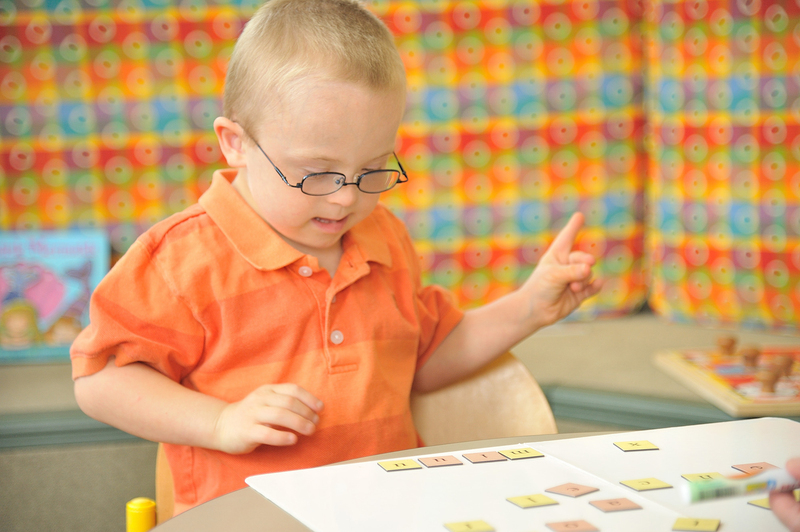 Results showed a relationship between the adapted program, which was geared toward the learning profile of students with Down syndrome, and the development of phonological awareness skills. Lemons, C. J., Kearns, D. M., & Davidson, K. A. (2014). Data-based individualization in reading: Intensifying interventions for students with significant reading disabilities. Teaching Exceptional Children, 46(4), 20-29. This article follows a teacher as she uses data based individualization with one of her fourth grade students who has persistent and severe reading difficulties. This hypothetical situation is used to demonstrate how data-individualization is implemented. Lemons, C. J., Zigmond, N., Kloo, A. M., Hill, D. R., Mrachko, A. A., Paterra, M. F., & Davis, S. M. (2013). Performance of students with significant cognitive disabilities on early-grade curriculum- based measures of word and passage reading fluency. Exceptional Children, 79(4), 408-426. This study investigated the reading skills of students with significant cognitive disabilities whose academic progress was being assessed by alternate assessments. Measures of reading fluency were used to evaluate 7,440 students in Grades 3 -11. Results showed that performance on literacy measures was influenced by disability, grade and level of alternate assessment. Lemons, C. J., Mrachko, A. A., Kostewicz, D. E., & Paterra, M. F. (2012). Effectiveness of decoding and phonological awareness interventions for children with Down syndrome. Exceptional Children, 79(1), 67-90. This study examined the effectiveness of two commercially-available reading intervention programs on the literacy skills of 15 children with Down syndrome between the ages of 5 and 13 years. Instruction in phonological awareness and phonics was provided approximately twice per week for 12 weeks. Students showed improvements in reading the phonetically regular and high frequency words taught to them but there was no generalization to other skills. The phonological awareness intervention did not result in reliable gains. This study examined child characteristics that may predict response to reading interventions. Twenty-four children with Down syndrome were provided with individualized reading instruction and the majority made significant gains in letter sounds, sight word reading and decoding. Students who entered the study with more highly developed phonemic awareness skill made more progress in reading pseudo-words while students who had more advanced word identification skill made more progress in reading phonetically regular words. McMaster, K.L., Jung, P., Brandes, D., Pinto, V., Fuchs, D., Kearns, D., Lemons, C.J., Saenz, L., & Yen, L. (2014). Customizing a research-based reading practice: Balancing the importance of implementation fidelity with professional judgement. The Reading Teacher, 68(3), 173-183. This article follows a fourth grade teacher as she learns to implement a research-based program (Peer-Assisted Learning Strategies/PALS) in Reading. The article demonstrates the implementation of a research based instructional practice with fidelity, while still allowing the teacher to make adjustments to meet the needs of a diversity of students. This study examined the effect of phonics and sight word instruction on adolescent English Language Learners with intellectual disabilities. The study found that both explicit phonics instruction and sight word instruction had positive impacts in the reading performance of these students. Ricci, L. (2011). Home literacy environments, interest in reading and emergent literacy skills of children with Down syndrome versus typical children. Journal of Intellectual Disability Research, 55(6), 596-609. This research study examined pre-school and school-age children with Down syndrome and compared their home literacy environments, interest in reading, and emergent literacy skills with those of typically developing children. Results showed that parents of school-age children with Down syndrome and parents of typical children provided similar home literacy environments and reported higher levels of literacy activities overall than parents of pre-school aged children with Down syndrome. Shurr, J. S., & Taber-Doughty, T. (2012). Increasing comprehension for middle school students with moderate intellectual disability on age-appropriate texts. Education & Training In Autism & Developmental Disabilities, 47(3), 359-372. This study examined the effectiveness of pairing age-appropriate text with picture symbols and discussion to improve reading comprehension of students with intellectual disabilities. A multi-probe, across participants design was used to evaluate the intervention’s effectiveness for four middle school students with intellectual disabilities. The intervention produced gains for all four participants. This study found that a supplemental multisensory reading program led to accelerated progress in reading proficiency. Slavin, R., Lake, C., Davis, S. & Madden, N. (2011). Effective programs for struggling readers: A best-evidence synthesis. Educational Research Review, 6, (1), 1-26. A review of 97 studies found that one-to-one tutoring by trained teachers was effective in improving reading performance for at-risk readers. Small-group instruction was not found to be as effective as one-to-one instruction. Computer-assisted instruction had few effects on reading. This study explored the results of a phonological awareness intervention for 4-year-old children with Down syndrome. Seven children with Down syndrome participated in the study. The intervention was implemented by parents, who were instructed to emphasize letters and sounds within words during daily shared reading. The children’s performance was compared to that of a randomly selected group of typically developing peers. The results showed a significant treatment effect on phonological awareness and letter knowledge for the children with Down syndrome. Compiled by: Kathleen M. Whitbread, Ph.D. I have a 16 yr old daughter w/DS. Her name is Chantel. When she was born, the doctors and nurses didn’t know right away that she had DS. It was over 12 hour time period when they realized it. They noticed some of the characteristics that she had. Her heart was checked and it was discovered that she had a VSD and a paten ductus (not sure of spelling) that didn’t close. I knew nothing about DS but was already so in love with her that I didn’t worry about it. I somehow knew it would be ok. She was a great baby and things were moving along fairly smoothly until her 5th month. She got sick with bronchitis and things with her heart went downhill. She needed surgery. She had that at 8 1/2 months old and by that time she was in full congestive heart failure, had stopped breathing several times and was one very ill baby. Heart surgery day was one of the longest, most terrifying day of my life. She did great and once all healed, she was a new kid. Life progressed then boom we were hit with another life-threatening illness– Leukemia diagnosed at age 2. Chemo went well and she managed to stay healthy until end of treatments when she ended up with yet another life-threatening illness– a skin infection. She was in the hospital for 6 wks fighting for her life. It took her 2 yrs to be rid of that infection. It was during the 6 wks in the hospital when she went deaf from several of the medicines she received. We didn’t know she was deaf till she was 4 when the infection was gone and we could get back to regular schedule of tests, hearing being one of those. That diagnosis was harder to take then the DS one. I am sorry this is getting to be lengthy, but after 16 yrs, she has a long story. Through all of this stuff, she was the best patient and still managed to be happy even on her sickest days. She amazes us –with all that she has been through, she rarely complains. She attends a school for the deaf and has for 9 yrs now. I wouldn’t change her or any of our experiences. They have taught me so much about life, myself and to appreciate all the little things each day brings. Riadh–thank you so much for sharing your daughter’s story. I am sorry it took so long to respond to your post. Somehow it ended up in the Spam folder. I am happy I checked because I know that other readers will be glad to have the opportunity to read about how your daughter has triumphed over so many challenges. Thank you again for taking the time to write. I would be very interested to hear about how the school for the deaf approaches reading instruction. I, too, would like to thank you for sharing your story. You both are incredibly strong women!